Creative Lab Hawaii, founded in 2012 by the Hawaii State Department of Business, Economic Development, and Tourism’s Creative Industries Division (CID), is a key facet of DBEDT’s HI Growth Initiative, is developing an ecosystem to increase export, attract investment and build the state’s creative entrepreneurial capacity. 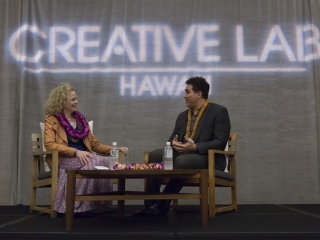 Creative Lab Hawaii has three program components: 1) Immersive Programs; 2) Ideation Workshops; and 3) Public Keynotes. Immersive programs are offered to selected qualified applicants in high growth creative clusters: Broadband/New Media; Producing; Screenwriting; Mobile Game Application; Animation; Music; and Design/Fashion. 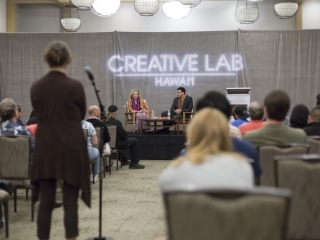 Creative Lab Hawaii’s public programs, a collaboration with various industry partners, offer free panels and workshops by industry professionals in the areas of screenwriting, broadband, new media, producing and music and design/fashion. 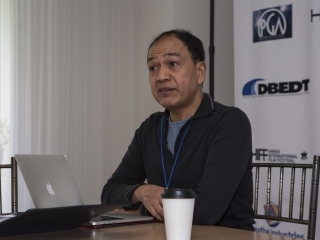 Industry partners include the Writers Guild of America, Producers Guild of America, Hawaii Academy of Recording Arts, The Hawaii International Film Festival (HIFF) and Screen Actors Guild/AFTRA. 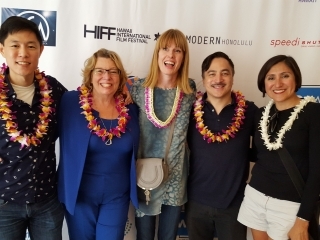 Georja Skinner, Chief Officer, Creative Industries Division/DBEDT, State of Hawaii and founder of Creative Lab Hawaii; Meg LeFauve, screenwriter of the Pixar Academy Award winning animated film Inside Out and Creative Lab Hawaii @ HIFF 2016 keynote speaker; and Kelly Hoen, General Manager, The Modern Honolulu. 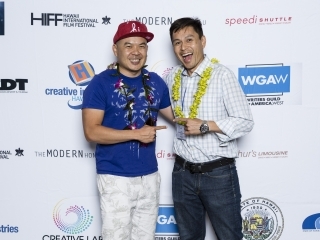 2016 Creative Lab Hawaii Producers Immersive Program: Participants Vilsoni Hereniko and Denny Hironaga. 2016 Creative Lab Hawaii Producers Immersive Program: Participants and mentors introducing themselves. 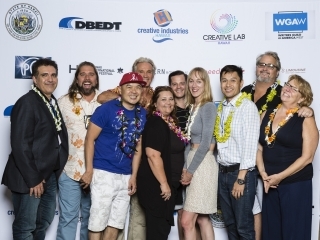 2016 Creative Lab Hawaii Producers Immersive Program: Mentor John Soriano; participant Denny Hironaga; mentor Sonia Mehandjyska; Georja Skinner, Chief Officer, Creative Industries Division/DBEDT; mentor Kevin J. Fox; participants Vilsoni Hereniko, Joji Yoshida, Tony Young; and Michael Palmieri, Executive Director, Creative Lab Hawaii. 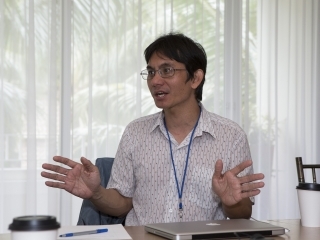 2016 Creative Lab Hawaii Producers Immersive Program: Participant Joji Yoshida. 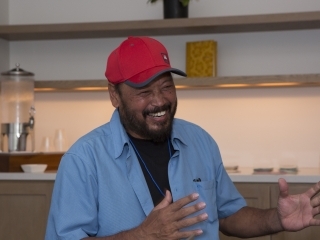 2016 Creative Lab Hawaii Producers Immersive Program: Participant Denny Hironaga. 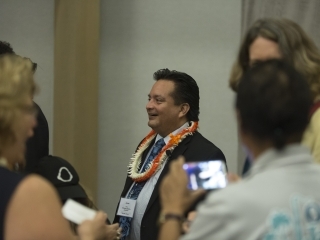 2016 Creative Lab Hawaii Producers Immersive Program: Participant Vilsoni Hereniko. 2013 Creative Lab Writers Immersive Program and 2016 Creative Lab Hawaii Producers Immersive Program participant, Tony Young. 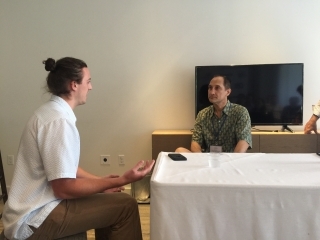 2016 Creative Lab Hawaii Producers Immersive Program: Mentor Kevin J. Foxe (right) with participant Joji Yoshida. 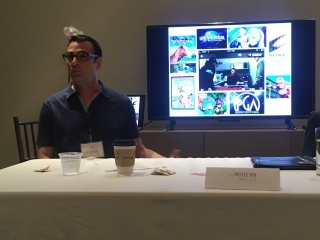 2016 Creative Lab Hawaii Producers Immersive Program: Mentor Kevin J. Foxe, producer, writer, and director in film, digital, web and multimedia is pictured here sharing his background in producing, writing and directing ground breaking and successful projects such as Do Over, The Ghost Experiment, Jackson Horn, and Sundance Documentary Audience Award winner How to Draw a Bunny. 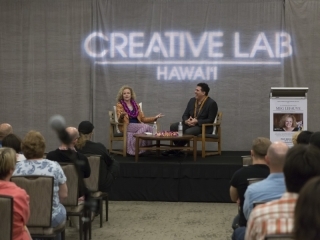 2016 Creative Lab Hawaii Producers Immersive Program: Mentor Sonia Mehandjiyska, Head of International Distribution at Electric Entertainment, shares her extensive experience in the selling/distribution of films and television series in today’s markets. 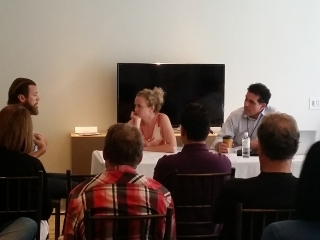 2016 Creative Lab Hawaii Producers Immersive Program: Mentor John Soriano gives his opinion during the pitch session. 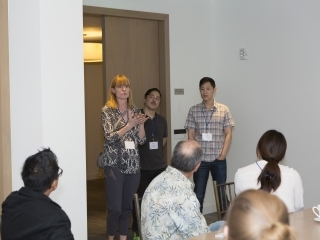 2016 Creative Lab Hawaii Producers Immersive Program: Georja Skinner, Chief Officer, Creative Industries Division/DBEDT, State of Hawaii, welcomes participants. 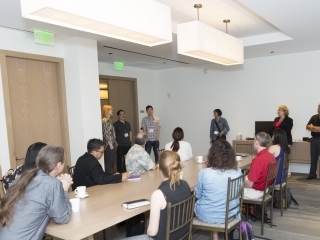 2016 Creative Lab Hawaii Producers Immersive Program: Sharing notes on one another’s projects at a breakfast meeting with participants and mentors. 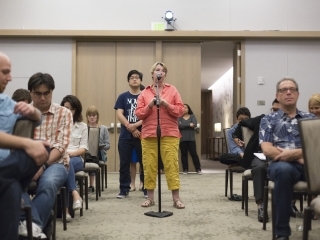 2016 Creative Lab Hawaii Ideation Workshop: Meg LeFauve, screenwriter of the Academy Award winning animated film Inside Out, listens to a participant during the pitch session. 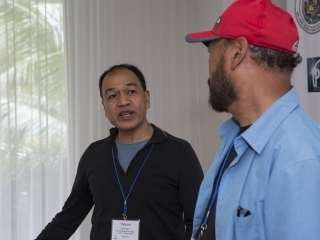 2016 Creative Lab Hawaii Ideation Workshop: John Soriano (right), story analyst, 20th Century Fox, provides feedback to a participant during the pitch session. 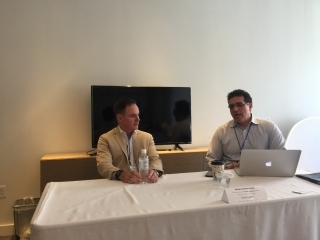 2016 Creative Lab Hawaii Ideation Workshop: W. Bruce Cameron, writer and novelist of the NY Times bestseller list A Dog’s Purpose and A Dog’s Journey, and Michael Palmieri, Executive Director, Creative Lab Hawaii. 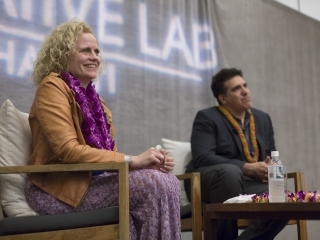 2016 Creative Lab Hawaii Ideation Workshop: Meg LeFauve, screenwriter of the Academy Award winning animated film Inside Out, and Michael Palmieri, Executive Director, Creative Lab Hawaii. 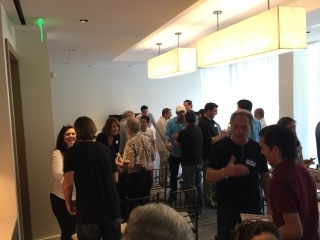 2016 Creative Lab Hawaii Ideation Workshop: Participants welcome each other at The Modern Honolulu. 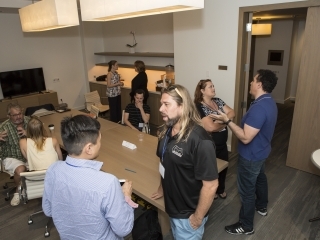 2016 Creative Lab Hawaii Ideation Workshop: Participants at The Modern Honolulu. 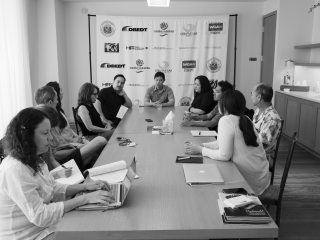 2016 Creative Lab Hawaii Writers Immersive Program: Participants Almosh Ta’Ltosh, Sara Israel, Courtney Takayabashi, Doris Yeung, Katherine Clark, Mark Geiger, Victoria Moy, Rex Moribe, and Michael Palmieri, Executive Director, Creative Lab Hawaii. 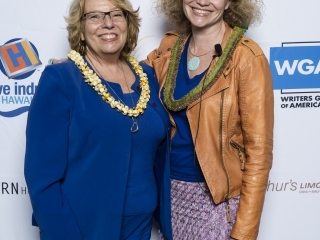 Meg LeFauve, screenwriter of the Pixar Academy Award winning animated film Inside Out and Tery Lopez, Director of Diversity, WGA, a founding partner of the Creative Lab Hawaii Program. 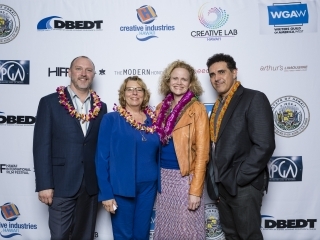 Robert Lambert, Executive Director, HIFF; Georja Skinner, Chief Officer, Creative Industries Division/DBEDT, State of Hawaii; Meg LeFauve, screenwriter of the Pixar Academy Award winning animated film Inside Out; and Michael Palmieri, Executive Director, Creative Lab Hawaii. 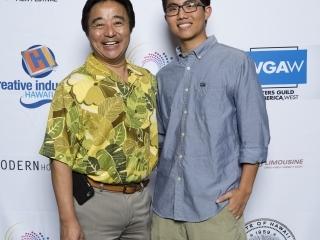 Senator Glenn Wakai, and Legislative Intern Josh Chun, student at Iolani School. 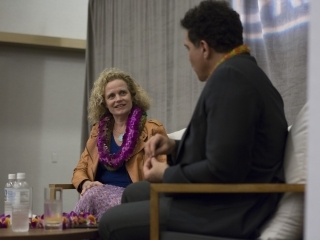 2016 Creative Lab Hawaii @HIFF Public Program: Meg LeFauve, screenwriter of the Academy Award winning animated film Inside Out has a lively exchange with a member of the audience about navigating your career as an artist. 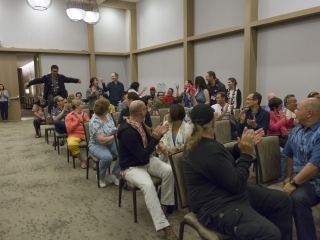 2016 Creative Lab Hawaii @HIFF Public Program: Q&A session with audience. 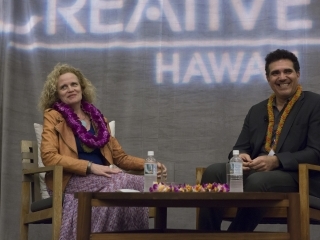 2016 Creative Lab Hawaii @HIFF Public Program: Meg LeFauve, screenwriter of the Pixar Academy Award winning animated film Inside Out fields questions from filmmakers and screenwriters from the audience. 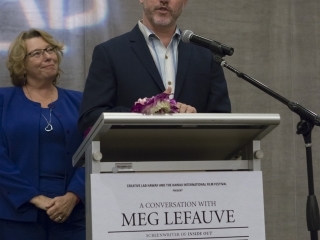 2016 Creative Lab Hawaii @HIFF Public Program: Meg LeFauve, screenwriter of the Pixar Academy Award winning animated film Inside Out shares her perspective on what it takes to work at your craft. 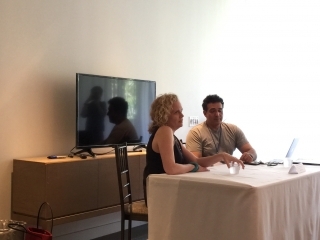 2016 Creative Lab Hawaii @HIFF Public Program: Meg LeFauve, screenwriter of the Pixar Academy Award winning animated film Inside Out being interviewed by Michael Palmieri, Executive Director, Creative Lab Hawaii. 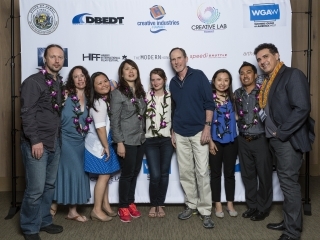 2016 Creative Lab Hawaii @HIFF Public Program: 2016 Creative Lab Hawaii Writers Immersive Program’s participants being recognized. 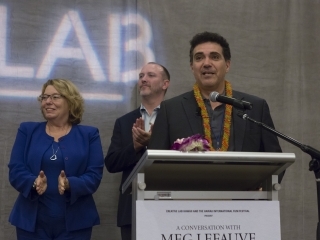 2016 Creative Lab Hawaii @HIFF Public Program: Georja Skinner, Chief Officer, Creative Industries Division/DBEDT, State of Hawaii; Robert Lambert, Executive Director, HIFF; and Michael Palmieri, Executive Director, Creative Lab Hawaii introducing keynote speaker Meg LeFauve. 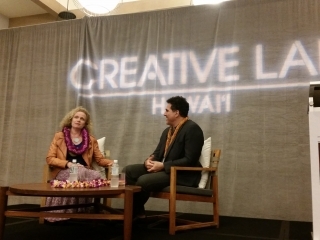 2016 Creative Lab Hawaii @HIFF Public Program: Georja Skinner, Chief Officer, Creative Industries Division/DBEDT, State of Hawaii and Robert Lambert, Executive Director, HIFF. 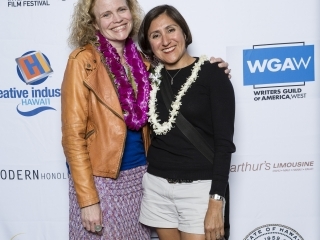 Georja Skinner, Chief Officer, Creative Industries Division/DBEDT, State of Hawaii, and Meg LeFauve, screenwriter of the Pixar Academy Award winning animated film Inside Out and 2016 Creative Lab Hawaii @ HIFF Public Program keynote speaker. 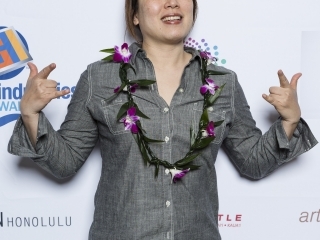 2016 Creative Lab Hawaii Writers Immersive Program: Participant Doris Yeung. 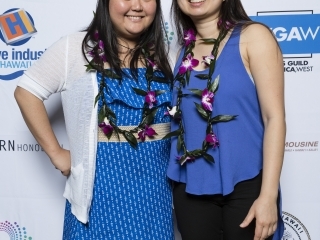 2016 Creative Lab Hawaii Writers Immersive Program: Participants Courtney Takayabashi and Victoria Moy. 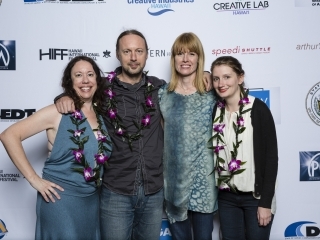 2016 Creative Lab Hawaii Writers Immersive Program: Participants Sara Israel and Almosh Ta’Lotsh; mentor Jessica Bendinger, screenwriter and novelist of Aquamarine, First Daughter, and Bring it On; and participant Katherine Clark. 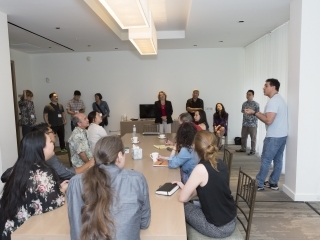 2016 Creative Lab Hawaii Writers Immersive Program: Participants working on scripts alongside mentors: Margaret Nagle, WGA Award winning screenwriter and television producer of the feature film The Good Lie; and Eric Garcia and Leo Chu, Emmy Award winning creators, executive producers, and showrunners of Spike TV’s Supah Ninjas. 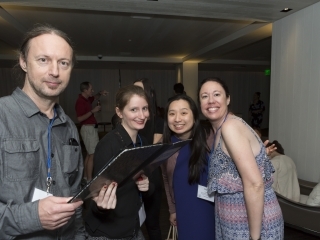 2016 Creative Lab Hawaii Writers Immersive Program’s participants: Almosh Ta’ltosh, Katherine Clark, Victoria Moy, and Sara Israel at The Modern Honolulu. 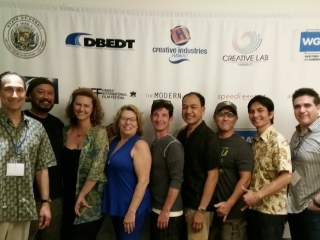 2016 Creative Lab Hawaii Writers Immersive Program: Leo Chu and Eric Garcia, Emmy Award winning creators, executive producers, and showrunners of Spike TV’s Supah Ninjas; Georja Skinner, Chief Officer, Creative Industries Division/DBEDT, State of Hawaii; Jessica Bendinger, screenwriter and novelist of Aquamarine, First Daughter, Bring it On; and Tery Lopez, Director of Diversity, WGA. 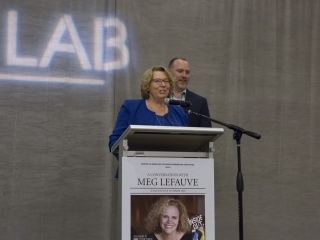 2016 Creative Lab Hawaii Writers Immersive Program: Mentor Margaret Nagle, Emmy Award and WGA Award winning screenwriter of HBO’s Warm Springs and producer of the feature film The Good Lie, sharing her experiences with participants. 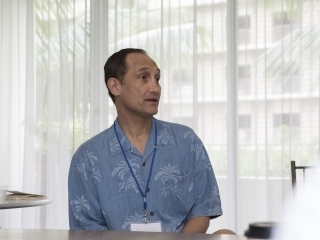 2016 Creative Lab Hawaii Writers Immersive Program: Michael Palmieri (right), Executive Director, Creative Lab Hawaii, along with mentors and CID’s Team, going over the schedule for the immersive week to participants. 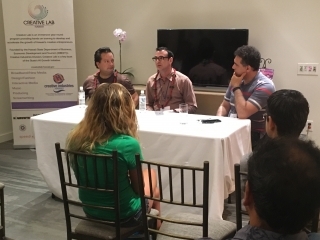 2016 Creative Lab Hawaii Writers Immersive Program: Mentors Jessica Bendinger, screenwriter and novelist of Aquamarine, First Daughter, Bring it On; and Eric Garcia and Leo Chu, Emmy Award winning creators, executive producers, and showrunners of Spike Networks’ Supah Ninjas, sharing their experiences with the participants. 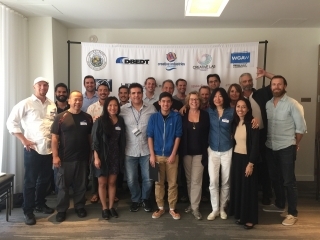 Hawaii Musicians took part in the Creative Lab Hawaii Music Immersive, a five-day program where participants learned firsthand about composing for film and television, as well as music licensing from seasoned industry professionals. Photo taken at the Lava Tracks studio in Waimea. 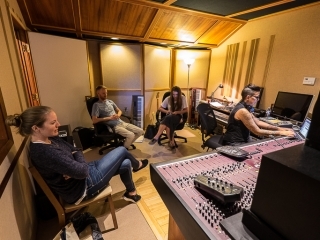 Hawaii Musicians took part in the Creative Lab Hawaii Music Immersive, a five-day program where participants learned firsthand about composing for film and television, as well as music licensing from seasoned industry professionals. 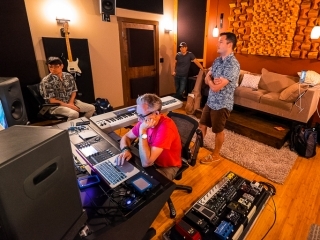 Photo taken at the GVS Transmedia Accelerator’s Honua Studios’ Twenty 20 Sound Studio in Kona. Networking before the 5-day immersive program started. 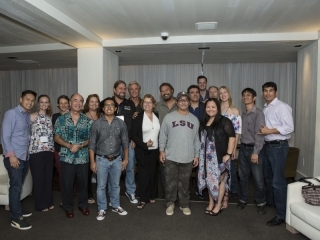 Geroja Skinner (middle), Chief Officer, Creative Industries Division/DBEDT, State of Hawaii along with 2016 CLH Web-Series Producers Immersive mentors, participants, and other immersive cohorts at the Welcome Reception, The Modern Honolulu. Bernie Su, a two-time Primetime Emmy Award Winning Web Series creator of Lizzie Bennet Diaries and Emma Approved. Co-founder of Canvas Media Studios. Canvas’ first series Vanity, was nominated for a Daytime Emmy for Digital Drama Series; Hannah Cheesman, Canadian Screen Award-nominated actor, writer and filmmaker based in Toronto. Also named a 2015 Playback “Five to Watch” (Canada’s foremost industry trade magazine), a 2014 TIFF Irving Avrich Emerging Canadian Filmmaker, and the co-creator, writer, and star of Whatever, Linda; Julian De Zotti, award winning multi-hyphenate hailing from Toronto, and the co-creator, writer, and showrunner of the digital series Whatever, Linda that won over twenty awards worldwide including the IAWTV Award (the web Emmy) for Best Drama Series; Michael Palmieri, Executive Director, Creative Lab Hawaii. 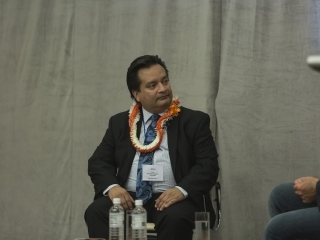 2016 Creative Lab Hawaii mentors James A. Fino (Left), Executive Producer of the Academy Award nominated animated motion picture Anomalisa and Iyan M. Bruce (middle), Director of Global Entertainment Content Strategy, Marketing and Distribution for Mattel, Inc., brands including Thomas & Friends™, Monster High™, Hot Wheels®, and Barbie®. 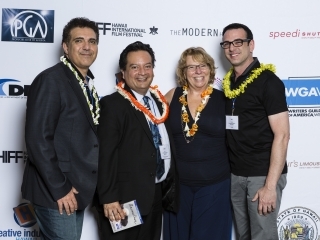 Michael Palmieri, Executive Director, Creative Lab Hawaii; participant Chad Thurman; mentor Bernie Su, two-time Primetime Emmy Award Winning Web Series creator of Lizzie Bennet Diaries and Emma Approved; participant Dan Moore and Dee McBride; mentor Julian De Zotti, award winning multi-hyphenate hailing from Toronto, and co-creator, writer, and showrunner of the digital series Whatever, Linda that won over twenty awards worldwide including the IAWTV Award (the web Emmy) for Best Drama Series; mentor Hannah Cheesman, Canadian Screen Award-nominated actor, writer and filmmaker, named a 2015 Playback “Five to Watch” (Canada’s foremost industry trade magazine) and a 2014 TIFF Irving Avrich Emerging Canadian Filmmaker, and the co-creator, writer, and star of Whatever, Linda; participants Jeff Orig and Diq Diamond; Georja Skinner, Chief Officer, Creative Industries Division/DBEDT, State of Hawaii. 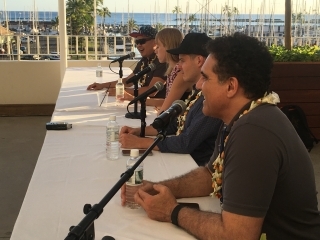 Michael Palmieri, Executive Director, Creative Lab Hawaii; James A. Fino, Executive Producer of the Academy Award nominated animated motion picture Anomalisa, and the 2016 Creative Lab Hawaii @ HIFF Public Program keynote speaker; Georja Skinner, Chief Officer, Creative Industries Division/DBEDT, State of Hawaii; Iyan M. Bruce, Director of Global Entertainment Content Strategy, Marketing and Distribution for Mattel, Inc., brands including Thomas & Friends™, Monster High™, Hot Wheels®, and Barbie®, as well as a 2016 Creative Lab Hawaii Ideation Workshop mentor. 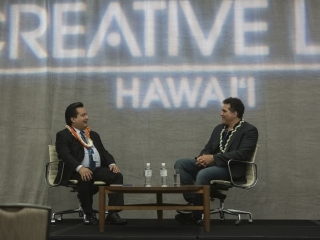 James A. Fino, Executive Producer of the Academy Award nominated animated motion picture Anomalisa being interviewed by Michael Palmieri, Executive Director, Creative Lab Hawaii. 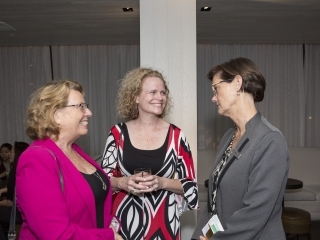 Participants and mentors networking prior to the start of the program. 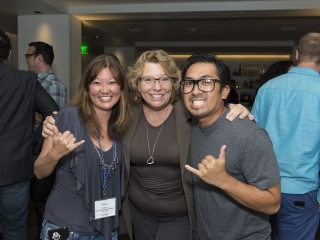 Participant Stacey Hayabashi; Georja Skinner, Chief Officer, Creative Industries Division/DBEDT, State of Hawaii; 2016 Creative Lab Hawaii Writers Immersive participant Rex Moribe. 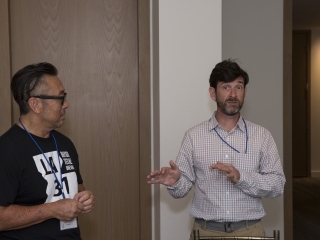 Participant Jeff Orig (right) and mentor, Bernie Su (left), a two-time Primetime Emmy Award Winning Web Series creator of Lizzie Bennet Diaries and Emma Approved. Co-founder of Canvas Media Studios. Canvas’ first series Vanity, was nominated for a Daytime Emmy for Digital Drama Series. James A. Fino, Executive Producer of the Academy Award nominated animated motion picture Anomalisa sharing his experiences to the audience. 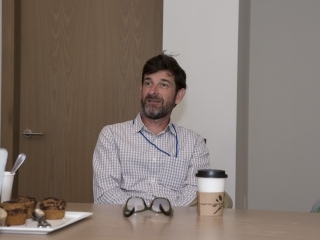 James A. Fino, Executive Producer of the Academy Award nominated animated motion picture Anomalisa having a conversation with audience members after his keynote address. 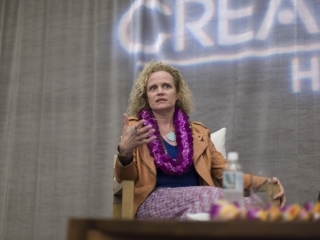 2016 Creative Lab Hawaii Ideation Workshop mentor Iyan M. Bruce, Director of Global Entertainment Content Strategy, Marketing and Distribution for Mattel, Inc., brands including Thomas & Friends™, Monster High™, Hot Wheels®, and Barbie®. 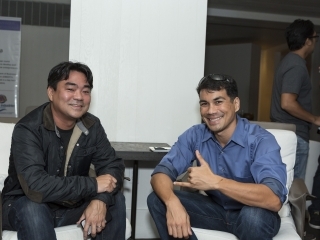 2014 CLH Writers Immersive cohort Brian Watanabe and Brayden Yoder at the 2016 CLH Mobile Game App Producers Immersive Welcome Reception, The Modern Honolulu. 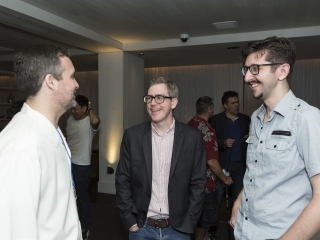 2016 Creative Lab Hawaii Mobile Game App Producers Immersive mentors Andy Dunn, Chris Zukowski, and Tim Winsky at the Welcome Reception, The Modern Honolulu.